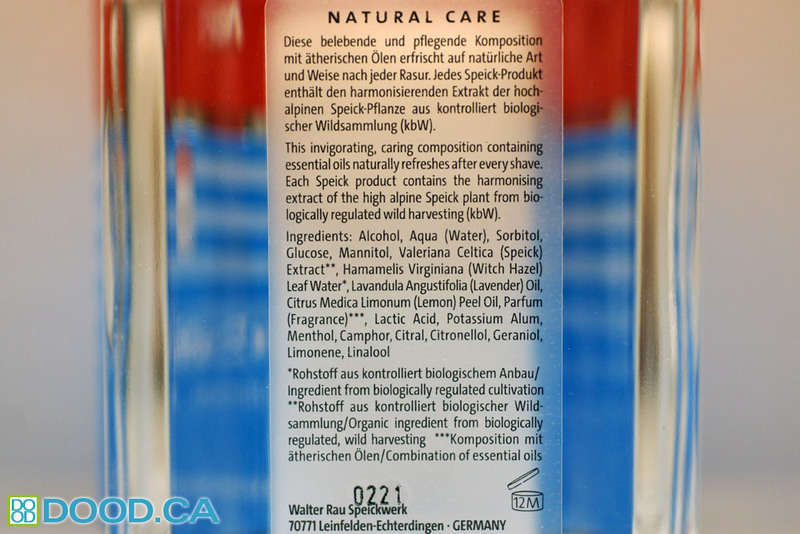 Speick aftershave lotion is named after the Alpine Speick plant, which is gentle and soothing on the skin. This is a very popular aftershave lotion (or splash as it is usually called in North America), and frequently recommended on the forums online. Its known for its high quality and low price. Very few aftershave splashes of this quality are available so affordably. Speick aftershave lotion comes in an attractive glass bottle, packaged within a cardboard box bearing the same red and blue. 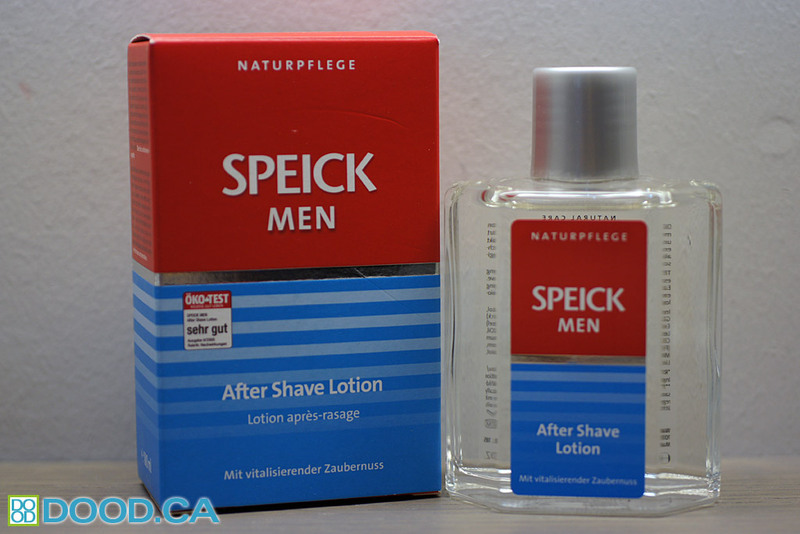 The product is made in Germany, and feels like a lot of other aftershave splashes upon initial use, but even with the menthol and alcohol zing, Speick has an uncanny ability to make your skin feel soothed and comfortable after. 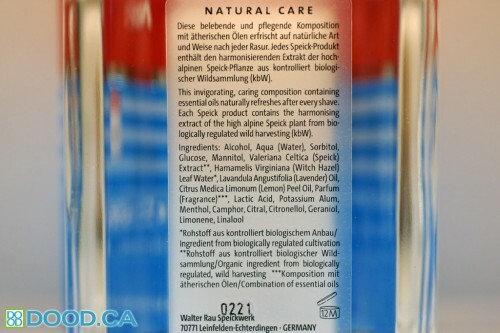 Many aftershave splashes can make your skin sensitive afterwards, but Speick does live up to its reputation of calming the skin. The scent is quite recognizable, but not particularly memorable. It has what I would describe as an unoffending fresh-smelling scent, with a little bit of something-something in there that is probably the Apline Speick plant’s extracts. The scent doesn’t last very long and doesn’t interfere with other colognes I wear afterwards. 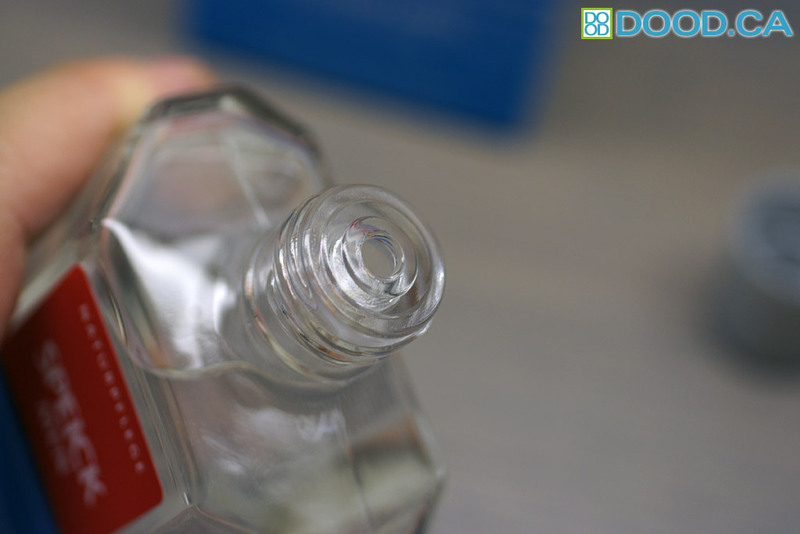 The glass bottle has a built-in glass reducer to help with the flow of the splash. Always a nice feature, though most aftershave splashes do have that nowadays. The screw on cap also has a plug in it which keeps the bottle nice and sealed when its closed. You can feel it plugging the reducer when you screw it in. I often take this splash traveling and its because the plug – I know it won’t leak! Great little feature. Overall a superb aftershave, with great little features and nothing at all that would be offending to most shavers. A safe bet in the scent department, and also one of the most soothing alcohol-based aftershave splashes out there. And at $0.15 per ml, its a bargain for a quality German-made product. Highly recommended. This entry was posted on Sunday, November 9th, 2014 at 9:41 pm	and is filed under After Shave Products. You can follow any responses to this entry through the RSS 2.0 feed. You can leave a response, or trackback from your own site.